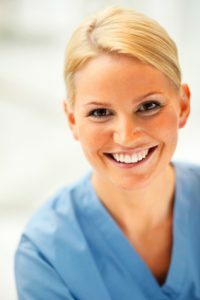 Dentists are keenly aware that the health of your mouth is directly linked to the health of your entire body, so it’s not surprising that most dentists, including Dr. Q Dental in Monrovia, California, recommend that their patients maintain a healthy diet in order to maintain a healthy mouth, stronger teeth, and a more radiant smile. Habits such as snacking on such healthy treats as fresh fruits and crisp, raw veggies are not only optimal for oral health but also help maintain a healthy body as well. For our Monrovia-area patients, Dr. Q recommends substituting foods that are high in sugar and refined white flour with healthy options, such as fresh fruits and vegetables. This is the first step to improving not only your oral health but the overall health of your body as well. Choose fresh, unsweetened fruit whenever possible and firm raw vegetables instead of greasy junk food or sugary treats. Drinking pure, unflavored water instead of sweetened fruit juices or soft drinks produces less buildup of acid inside the mouth, while also helping to wash away residue and minuscule food particles that may be left behind in the oral cavity after eating. Avoiding junk food that is usually loaded with grease and chemical additives also protects your mouth from the buildup of acid and oral bacteria that these foods often promote. And of course, avoiding candy and other sugary treats prevents the buildup up tooth decay that can lead to cavities and foul-smelling breath, eventually causing more serious problems such as gum disease, gingivitis, and periodontitis. We’ve all heard the saying “An apple a day keeps the doctor away,” and these are words of wisdom that retain their relevance even today. Nothing makes a healthier snack for your teeth, gums, and overall health than a fresh, crisp apple, and other fresh snacks such as carrot or celery sticks, cucumber slices, and tart, firm fruit such as pears, nectarines, and melons. Berries are also known to contribute to gum health and are best eaten fresh and unadorned, with no added sugar, cream, or sweeteners. Many dentists also recommend adding raw or fresh-roasted nuts and seeds to your diet, such as almonds, walnuts, and pistachios, which provide essential minerals for bone health, while also exercising jaw muscles, strengthening the underlying bone, and increasing the circulation of blood to the gums, thus contributing to optimal oral health. Avoid nuts that are covered in sugary coatings or chocolate, as these may leave behind harmful particles in dental nooks and crevices, as well as in the spaces between your teeth. Even after eating healthy snacks, be sure to rinse your mouth thoroughly to eliminate any accumulation of minuscule food particles that can lead to oral bacteria. Dr. Q Dental, serving residents of Monrovia-area communities in California, is a state-of-the-art dental clinic that provides compassionate, comprehensive dental care, with a gentle touch and a focus on prevention of tooth decay and gum disease. To maintain a radiant, healthy smile, Dr. Q recommends certain dietary and lifestyle habits to help her patients maintain bright, radiant smiles, strong teeth, and healthy gums. Contact our Monrovia office today at (626) 599-9819 to schedule your first appointment.